Smoked herring is sold in two ways in the Caribbean—whole with the skin on and bones intact complete with the head, or filleted and boneless. The filleted and boneless is the more expensive of the two. Both types are available in markets and supermarkets. Thanks for the info. and I will try herring for the first time soon but I am reading that it is very salty, so I might have to boil them for 5 minutes to desalt them, or not, I'll taste a little first to see if the desalting is needed. 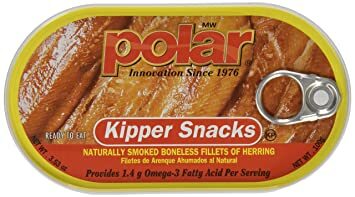 the nice thang about the canned smoked herring boneless fillets i posted about is, you can just eat right out of the can as a snack. The fillets, unlike the whole smoked herring, are boiled to remove some of the salt simply because there are more flesh and more surface area of salt. Unlike salt fish, it is not necessary to soak smoked herring fillets overnight to loosen up the fish and remove the salt. A quick, rapid boil for 5 to 10 minutes does the trick. Once boiled, the fish is drained and then prepared according to the desired recipe. I'm not the biggest herring fan on the planet, but it's slightly better than lutefisk. There's a particularly smug joy that comes from whipping up a good meal from seemingly nothing. We've used smoked herring here, but these fishcakes are just as good when made with smoked mackerel or smoked salmon. That looks great, but complicated to make. Yes, it does look worth trying, but first I have to taste herring to see whether or not I care for it. I've tried most other fish in my life, but the offering of herring never crossed my path. 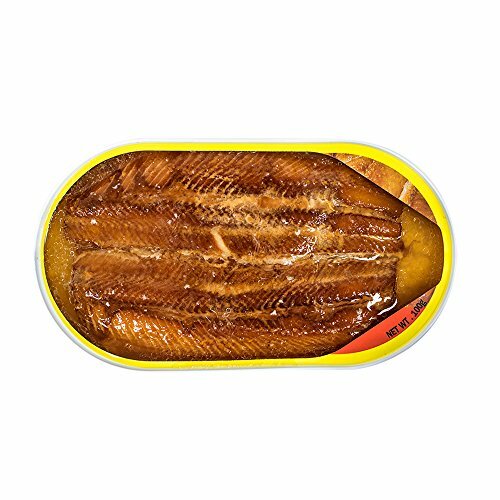 The only reason I was asking about whether or not people ate smoked herring with bones and skin intact, is because there is a lot of nutrition (calcium etc) there, and I always eat sardines with skin and bones on for that reason. I actually have a package of smoked salmon, so I may try that recipe today. Thanks again NM for the recipe. For brekkie I'm having bagel with cream cheese and smoked salmon. So, the smoked salmon fish cake mixture is chilling in the fridge and I'll make the cakes for hubby's and my dinner - the lucky guy. But, I changed up the recipe a little, instead of spring onion I added fresh chives and a little sour cream. I will add more fresh parsley to the bread crumb, parmesan and panko mixture when it's time to fry 'em up. (07-13-2018, 12:30 AM)Octo Wrote: Oy! Although it might be to save you from something. You never know. ..no let up on unplanned interruptions around here..geez.. I'd think some dark rum would work well with that.